Water Fitness - Welcome to Burke Racquet & Swim Club! Our water fitness program uses the resistance created by water to produce a workout more physically challenging than many land classes. These low-impact workouts are designed to improve muscle tone and aerobic fitness to achieve your goals. All exercise enthusiasts are welcome. For personalized programs, please contact Aquatics Director Kim Spina at 703-250-1299 or email her at kspina@nationscapitalswimming.com. Our Aquafit classes are an on-going program for our members. The 55-minute class features a low-impact, high intensity aerobic workout. 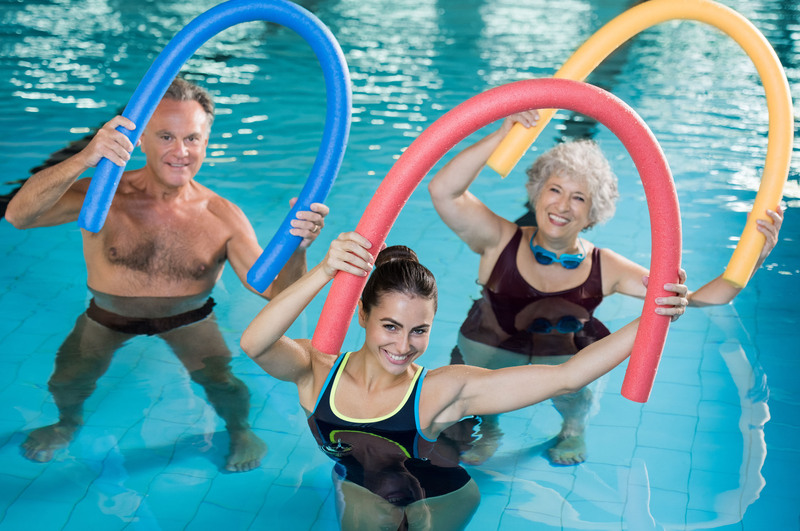 Hydrofit is a 55-minute fee-based specialty water aerobics class for both members and drop-in participants. Alternatively, you may purchase a Hydrofit card, which is good for 10 classes. Hydrofit is a 55-minute fee-based deep water aerobics class for both members and drop-in participants. Alternatively, you may purchase a Deep Hydrofit card, which is good for 10 classes.